If you’re like me, you probably have too many clothes and not enough storage space. When we find ourselves in this situation there are a few solutions to make things better. We can try tidying up and stuffing things into spaces that shouldn’t hold clothes, we can give stuff away, or we can try selling the pieces that can still be worn and appreciated by others. One of the best ways to get rid of the clothing, shoes, handbags, and accessories that are taking up space in our homes is to post our stuff on online resale sites. You might not know it but you can find a ton of resale clothing stores online. One of our favorites is PoshMark. On this site, you can make money on the items that you don’t plan on using anymore and you can score a cute outfit to replace the old for less at the same time. Getting rid of old clothing screams the need to get yourself something new, even if it’s used. PoshMark is one of the best ways to resell clothing online. On this site, you will find an easy way to buy and sell fashion online. PoshMark has clothing for the entire family and a ton of other things you might need too to complete your look. This clothing resale site mixes millions of closets across America and prices start at under $5.00. PoshMark has over 25 million items in its inventory and over 5,000 brands for you to discover. You can add the PoshMark Android or iOS app to your mobile device to publish an item for sale in as quickly as 60 seconds. Take a picture, add a description, and add a price. Selling online has never been easier and buying on this site is just as quick. If you’ve already added your payment information, one click is all that’s needed to get what you want. If you like efficient and budget-friendly clothing resale sites like this one, you’ll adore this list of best clothing resale sites like PoshMark. Start buying and selling online now. 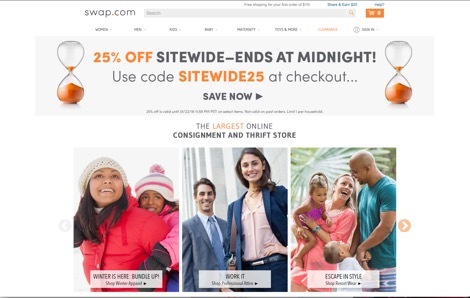 Swap is one of the largest alternatives to PoshMark. This buys and sells store contains a ton of items that you’ll love to add to your wardrobe. On the Swap site, you can find high-end clothing and basic essentials. There’s a lot to discover on this site and there’s something for every age, size, and style. On Swap, you can also send in your items to make a little extra cash but don’t expect a lot. Each piece will only give you a few dollars but it’s a great way to clean up your closet and bulk up your wallet for something new. Glampot is known for its authentic pieces. This PoshMark alternative was founded in 2007 and it’s still going strong today. Glampot is an online designer consignment store that specializes in its authenticity. Everything on this site is guaranteed to be 100% original. Glampot has unbelievable prices and new stock added all the time. Like the other sites mentioned above, if you have a few designer pieces that you don’t wear anymore, sell them here for a good profit. Prada, Gucci, Valentino, and Louis Vuitton are just a few brands that you can find on this site. One of the best clothing resale sites like PoshMark is ThredUp. This site is one of the cheapest ones too for used clothing in great condition. Every piece of clothing and every shoe and accessory is inspected for quality before it’s posted on this site. 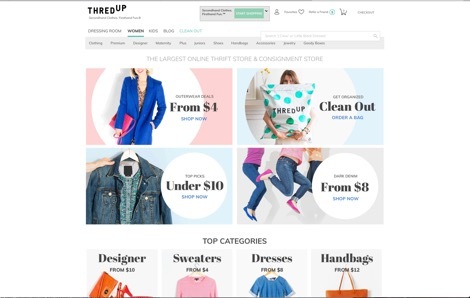 ThredUp can help you sell what you don’t wear anymore and find you a great deal at the same time. On this site, you can find clothing and accessories for every member of the family starting at under $5. Free shipping is available on all orders over $150. This addition to our list of websites like PoshMark specializes in selling luxury consignment online, mainly handbags. 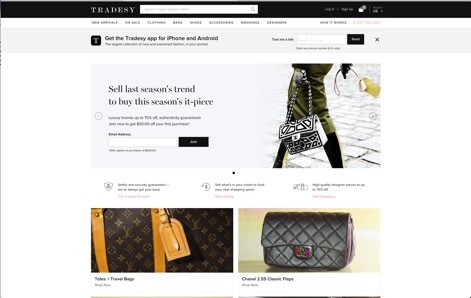 Tradesy is one of the top sites online that allows you to purchase a designer bag for under $100 dollars. There are no fakes on this site and each item is inspected to be sure. You can also sell your designer handbag on this site for some extra cash or store credit. Since this is a consignment store, you won’t find a large number of each product. If you find something you like, grab it fast, because it can disappear fast. 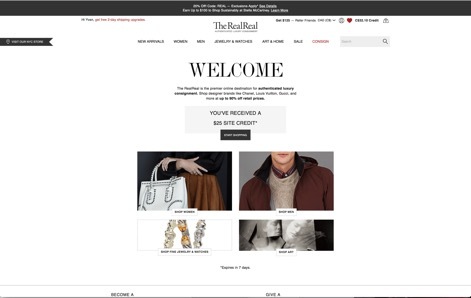 Another great addition to our list of sites similar to PoshMark is TheRealReal. This online consignment store is home to over 200 designer brands and everything is guaranteed to be 100% authentic or your money back. 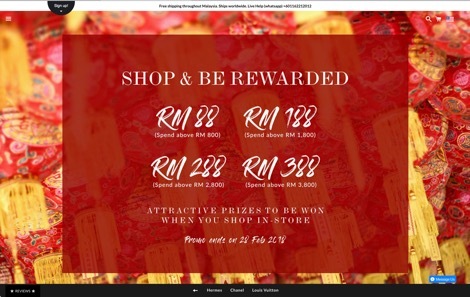 On TheRealReal site, you will find effortless consignment, the possibility to earn up to 70% of your sale, and a buy now pay later option on the more expensive items that you want to purchase. If you’re looking for a designer handbag, watch, outfit, or a piece of jewelry, take a look at this site before anywhere else. You won’t be disappointed. The last one to our list of sites like PoshMark has to be Material World. On the Material World website, you can buy, sell, and trade your items with the other members on this site. Material World has clothing, shoes, and accessories from big brand stores like Bloomingdale’s, Neiman Marcus, and Shopbob. On this site, you will find gently used handbags, shoes still in their original boxes, and clothing that’s only been worn a few times. Material World is the place to visit if you want to add value to your closet without paying full price.